CETCO MRM ORGANOCLAY is a sulfur-impregnated organophilic clay granular filtration media that adsorbs non-aqueous phase liquids (naPl) and dissolved low-solubility organics. It also sequesters mercury and arsenic from water. The ATEX certified oil/water Interface Meter offers reliable, accurate and safe detection of floating non-aqueous phase liquids (LNAPL) and sinking dense non-aqueous phase liquids (DNAPL). 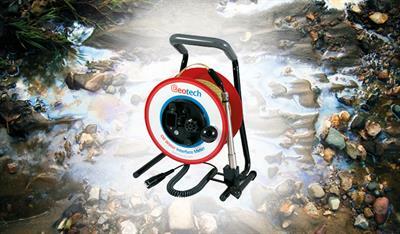 The oil /water Interface Meter is extremely easy to use and is supplied with a carry bag to protect the unit. ESD manufactures a complete line of high performance, low maintenance, removable tray Low Profile Air Strippers with removal efficiencies up to 99.9%. The side access panel allows the trays to be easily removed by one individual without any additional equipment or assistance, saving time and money. The Art. 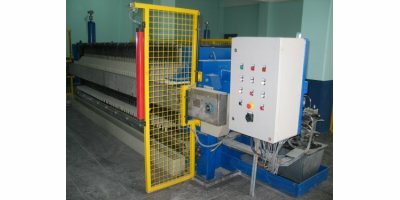 DEGP200-12000 Degreasers made by Eco Depurazione entirely in P.R.F.G (Glass-Reinforced Polyester) are monobloc vertical axis cylindrical structures sized for the pretreatment of waste waters coming from kitchens (refectories, restaurants, etc.) containing a high percentage of oils and greases. 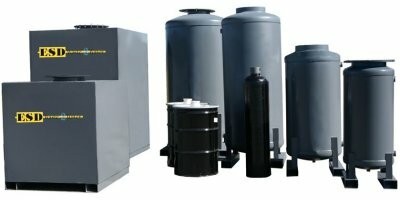 Oil water separators are used when a liquid phase waste stream contains free oil and sediment, as well as organics that need to be removed in order to meet discharge requirements. ESD’s Liquid and Vapor Phase Carbon Vessels offer a wide variety of options for removal of hydrocarbons or chlorinated solvents from liquid or vapor processes. ESD offers standard vessels with vapor flows to 4,000 CFM and liquid flows to 200 GPM. Additionally, ESD engineers can design a custom vessel and media for any application. 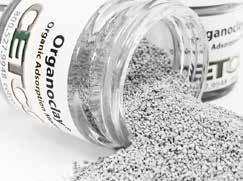 GC 8×30 is a virgin activated carbon which is granular in form. Made from the finest grades of bituminous coal, it is ideal for many liquid phase applications including the removal of organics from wastewater streams. NSF certified, it is suitable for drinking water and food grade applications. By General Carbon Corporation based in Paterson, NEW JERSEY (USA). 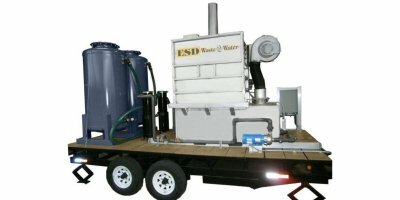 ESD manufactures a complete line of above ground, enhanced corrugated plate Oil Water Separators designed to remove free and dispersed non-emulsified oil and settle-able solids in accordance with API 421 @ flows from 10 to 250 GPM. ET-1 Activated Clay is a powerful, selective adsorbent that 'knows' hydrocarbons and other pollutants - but not water. Designed for use in conventional liquid-phase filtration vessels, the granular activated clay attracts contaminants like a magnet and locks them in its molecular structure. By Aqua Technologies of Wyoming Inc. based in Casper, WYOMING (USA). ESD’s Dual Phase Recovery Systems include high vacuum blower or pump, TEFC or XP motor, moisture separator with level controls, centrifugal or progressive cavity transfer pump, vacuumrelief valve, inlet filter and a pre wired, pre tested, custom NEMA IV control panel.